General conception agrees that wedding bouquets are generally made of real flowers. What if you deviate from the conception? What if you want to have a unique wedding bouquet which is not made of flowers? The answer to both questions will be answered by some unique ideas of non-floral wedding bouquet ideas below. 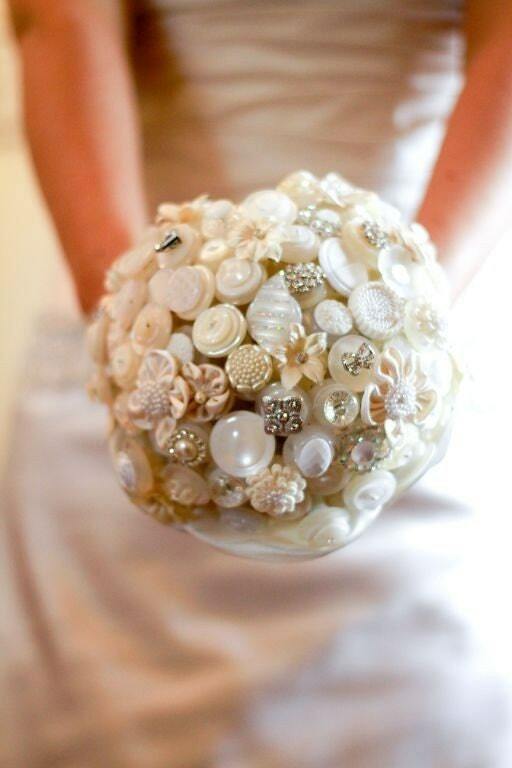 Yes, this is the kind of bouquet made of a bunch of buttons. During the last few years, bouquets made of buttons become trending options for brides with extraordinary tastes. Besides peculiar, the combination of colorful buttons, tulle, and satin of a bouquet is also very cute. You need an assortment of buttons, 22 gauge florist stem wire, floral tape, needle-nose pliers, wire cutters, and polysilk leaves to make this bouquet. If you don't have enough time to make it on your own, you can browse the Internet to purchase it from online shops. This is the right option for brides who want unconventional bouquet, yet not too quirky for conventional taste. 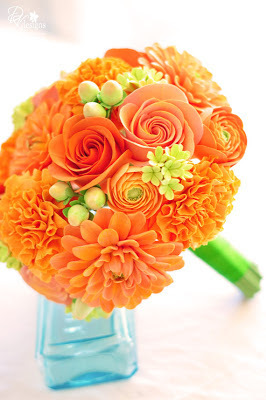 Fabric bouquets made of silk or felt will definitely last longer compared to bouquets made of fresh, real flowers. For more subtle and elegant choice, choose flower arrangement made of silk fabric. Silk gives the realistic touch of a genuine floral bouquet. On the other hand, felt flowers would be more fun instead of realistic. 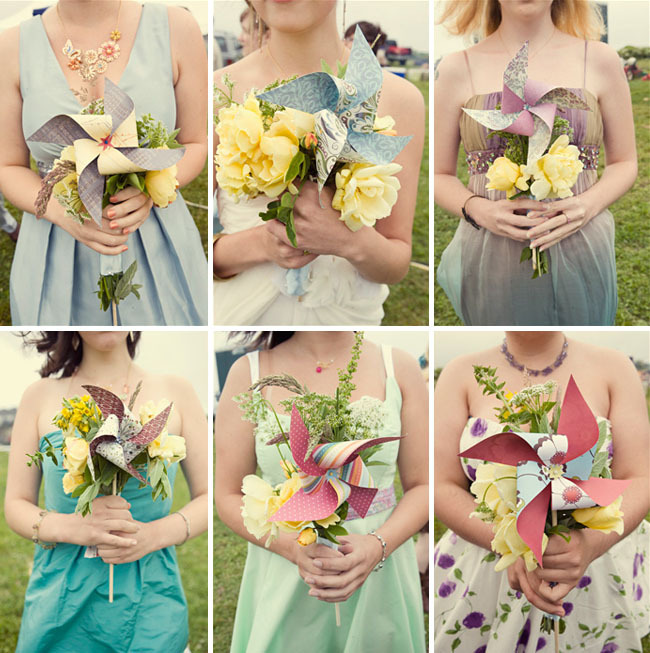 Felt flowers resemble wildflowers such as daisies and violets are perfect for a summer wedding. Besides funky and easy to work with, felt is also a cheap fabric which is suitable for a budget wedding. There are many types of paper you can always use for making your wedding bouquet. Crepe, newspaper, or coffee filters are only three examples of many types of paper you can work with. 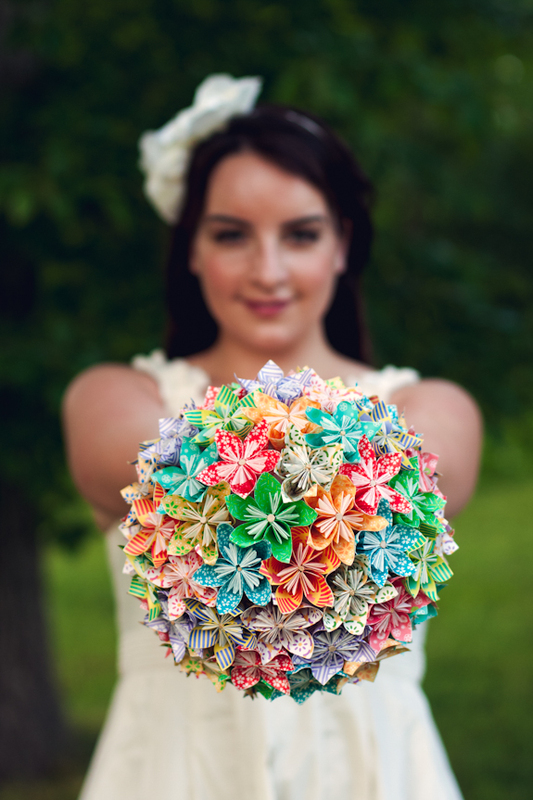 If you are a creative person, you can make your paper bouquet from scratch. But if you prefer to make it from ready-to-use materials, you can order a paper flower kit online with only a few dollars. 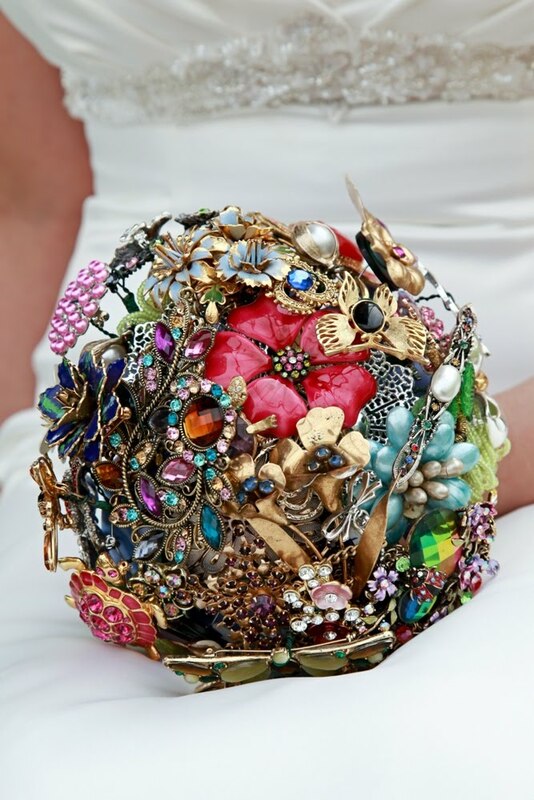 For brides who love vintage accessories, brooch bouquet is the perfect and unique choice. 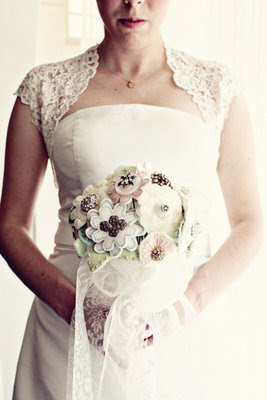 You can arrange your bouquet using old brooches (probably borrowing from your grandmother's collection of accessories). Brooch bouquet, however, is quite expensive to make. However, if you are a collector and have a great collection of brooches, this may not be a problem for you. 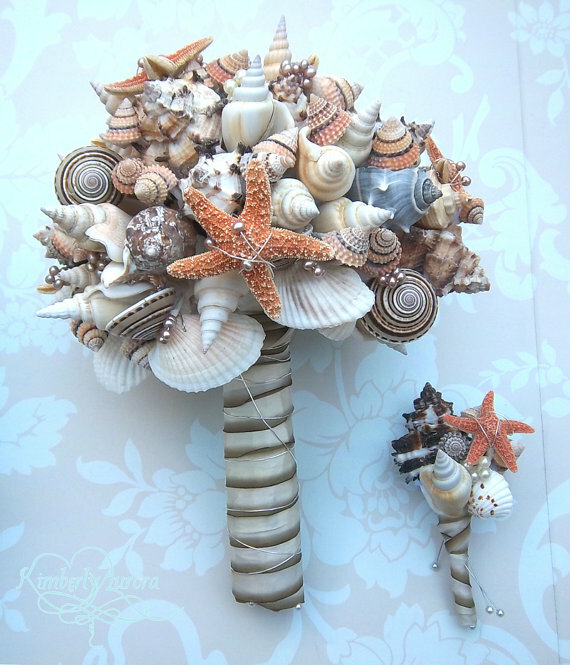 Besides the mentioned materials above, you can also make your wedding bouquets using seashells, feathers, clay flowers, paper windmills, wheat, imitations of butterflies, and other unusual bouquet materials you can think of.